2. A Wholly New Paradigm? Welcome to the 19th Special Issue of the SHAPE Journal, the second installment in our series of issues on Marxism and Science. 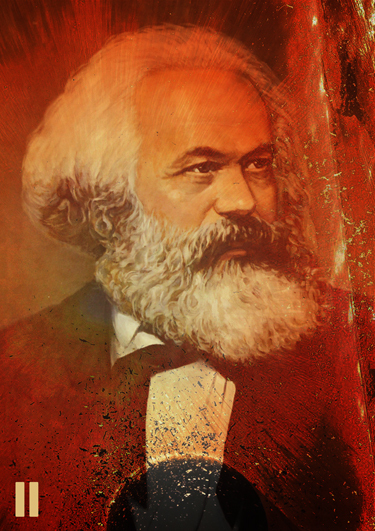 Once more the total emphasis in this Issue must continue to be upon the philosophical bases of Marxism. And it will not be a mere historical survey of an already complete, established and adequate standpoint, but, as it should always be, a Work in Progress. Indeed, to even maintain its original power and method, it must be both rediscovered and rejuvenated, if only because no knowledge or understanding can be absolute. History is real, and Reality will change and regularly deliver the entirely NEW: how can it ever be complete! Indeed, any complete standpoint based solely upon what has occurred previously will find itself unable to cope with entirely new situations, and will inevitably drift towards the consensus delivered by the dominant Class, and away from the Marxism of Revolution. The most urgent task of revolutionaries is to constantly extend and renew the Philosophy. As soon as that is sidelined and current “Activity” is allowed to dominate, the ever-sharp tool of Marxism is blunted, and the established routines of past phases take over, and will most certainly not equip us for the tasks ahead. Indeed, in this Issue there is an account of the attempt to discover the inner trajectory of all revolutions – or, more accurately and abstractly, of a general Emergence . For the contributions of Marx and Engels were significantly added to by the experiences of the Bolsheviks in Russia in two revolutions – an unsuccessful one in 1905 and a successful one in 1917. That revolutionary Party was fused into an effective implement of change in the white heat of revolution, and hence vastly added to what Marx and Engels had delivered in the previous century. Yet once more there wasn’t time or enough Marxist thinkers to further extend these ideas into an ever wider set of areas, and, most important of all, into Science. The writer of this Issue is both a Marxist and a Scientist, and has slowly and necessarily had to also become a Philosopher too. The task here is to investigate the inner processes that take place within an Emergence – the revolution that is possible in all developments, and crucially in Science too.